Deputy Governor David Archer, Jr has officially begun his familiarization tours of the sister islands. According to a government media release, his first stop was in Virgin Gorda on March 27. 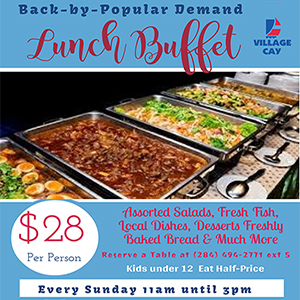 Similar tours on Jost Van Dyke and Anegada will follow. The tour is the first since he was appointed to the post in February and it also followed on the heel of the official launch of the Public Service Transformation Initiative (PSTI) on March 26. Among his stops on Virgin Gorda, the Deputy Governor visited the Captain Owen G Harrigan Visitor Centre, which houses the Customs, Immigration and Port facilities at Gun Creek. He also visited the government Administration Building, the Public Works Department, Social Development Department, and the police station. During that time, he held “extensive dialogue with public officers” and received a first-hand tour of their working environment. In addition, Archer expressed gratitude to the officers for their continued commitment, support, and delivery of services since the September 2017 hurricanes. He also paid a courtesy visit to two of Virgin Gorda’s seniors – Violet Stevens and Eda Flax. The two are expected to be the newest centenarians later this year. Additionally, the Deputy Governor stopped at the island’s hurricane shelters that are still housing occupants more than six months after the September hurricanes. He also toured the ongoing renovations at the Robinson O’Neal Memorial Primary School in North Sound. 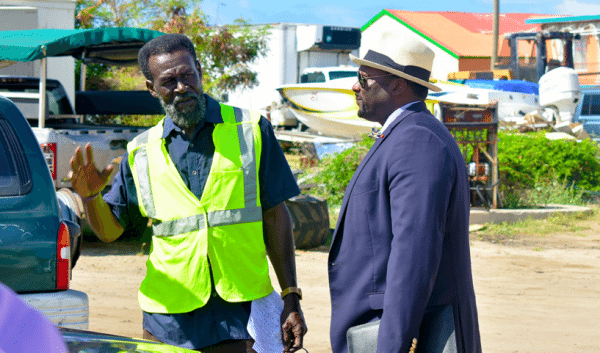 Sister Islands Programme Coordinator, Vincent Wheatley and Virgin Gorda District Officer, Verne Wheatley accompanied the Deputy Governor during his tour. Wow! Of all the things that you could have said, is that what you focused on? Mr. Archer’s skin tone? It’s so sad and despicable that we black people can be our own worst enemies. “Fake News” you clearly exemplifies the generational curse of the “Willie Lynch Letter.” So sad… check yourself! Stop hating . The man works hard .You set of idiots , instead of being happy for your local mate ..You people are wicked , envious and badminded .Thats why you suffering so much . One who plans and plans well will execute anything anytime. This strategy never fails. Assess, plan, plot and implement. Do not mind them cous, you are a brilliant person and will see things through. You have my vote on getting things done. Now do hurry and get the funding we need to rebuild, replenish, renew our beautiful islands.